This would be logical. NAVY should order 12 MiG-29KUB for Yeysk training center, where they could train naval and carrier pilots all time without the need for the planes from operational units, that they could have a constant flow of new young pilots. Than they should order another regiment of 24 MiG-29K/KUB for rotation on the carrier. 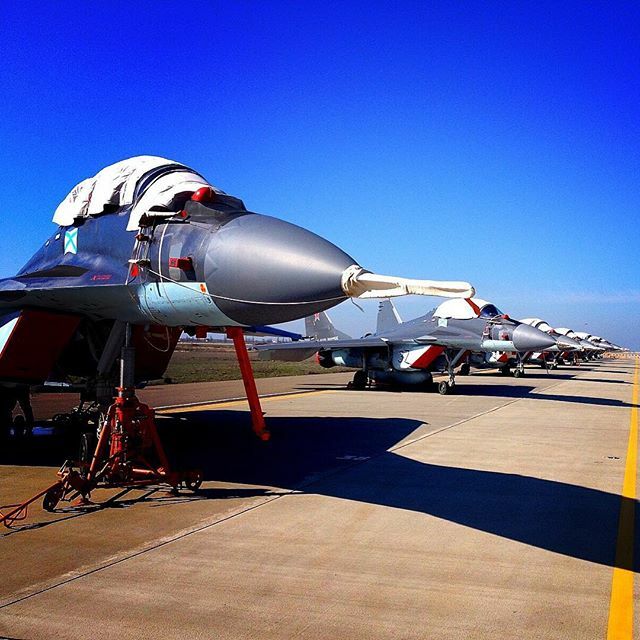 Su-33 could now serve from ground air base. However, to answer your question... Mig-29K is similar in size to F/A-18E/F. Slightly smaller. Shorter length (17.3 m vs 18.3), and smaller folded wingspan (7.8 m vs 9.3 m). Su-33 is 21.2 m by 7.4 m in dimension. New MiG-29K is a deeply modernized version of the MiG-29K sample 1988. Ground training facility in Yeisk training for aircrew flying the MiG-29K will be opened in the I quarter of 2016, said Shoigu. MOSCOW, December 1 - RIA Novosti. 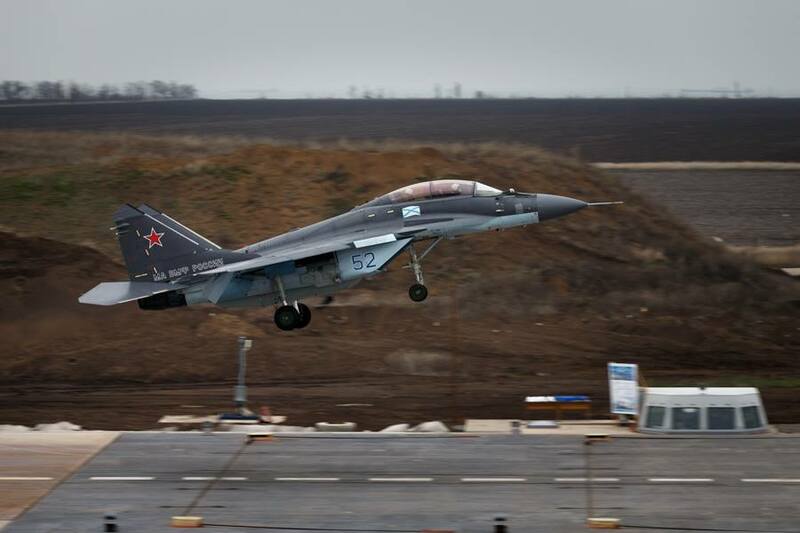 The pilots of naval aviation of the Russian Navy develop a new multi-purpose fighter MiG-29K, said Tuesday the Russian Defense Minister, Army General Sergei Shoigu. "For training flight personnel continues to build its use of ground training complex in Yeisk (Krasnodar region)," - he said on a conference call. According to the plan, the complex, unique in Russia is not, due to open in the first quarter of next year. Single MiG-29K is a multi-functional fighter generation "4 ++", designed to solve the problems of air defense ship connections, gaining dominance in the air, hitting surface and land targets with precision weapons day and night in all weather conditions. New MiG-29K is a deeply modernized version of the MiG-29K sample of 1988 ("9-31"). People suggesting naval models of the Yak-130 to replace the Su-25 for the carrier training role should perhaps be aware that the MiG-29K2 has a two seater version of unified design as the current model Mig-29K2 is based on the MiG-29M2/MiG-35 airframe design. Interview with the head of the RAC "MiG" Sergei Korotkov. He says that the contract that was signed with the Ministry of Defense, for the delivery of 24 MiG-29K/KUB for Russian Navy has been completed. and intensive training has began with the purpose of operating with both the concrete strips and from the deck. The next year the fighters will be landing on the "Kuznetsov". Considering, that they form a new regiment with MiG-29K/KUB for Kuznetsov carrier, than we could assume, when those MiG-29 regiment will be on the carrier deck, Su-33 carrier career will be over and will serve as ground based regiment. 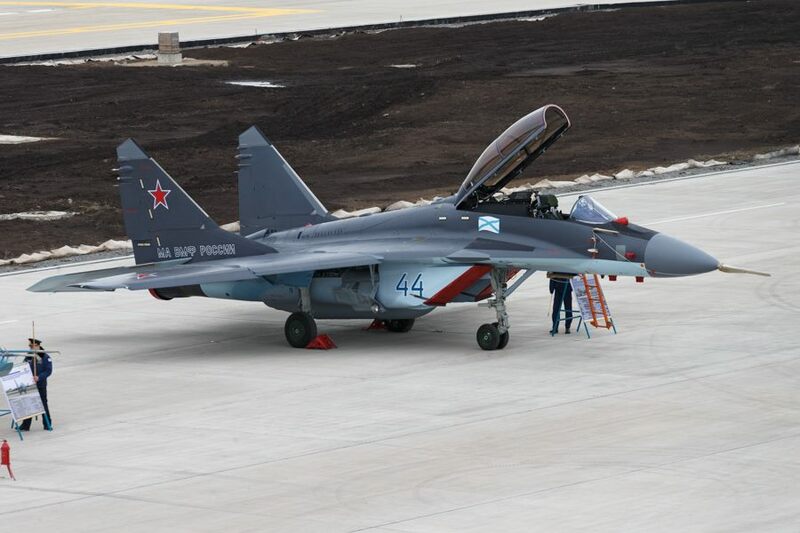 As ground based fighter Su-33 could still serve for another 15 to 20 years, so it is worth to modernize them to protect northern and arctic region, specially as it have better anti corrosion protection for operating over the sea and better navigational equipment for over the sea navigation, than standard ground based fighters. Stronger structure for carrier operations will enable quite long service life from ground based operations. They should modernize them to Su-27SM3 standard. There is a good question if RuNAVY will buy more MiG-19K/KUB planes. They should buy at least 12 MiG-29KUB for Yeisk naval training center to constantly train new pilots. Shortage of carrier pilots is quite a problem. Forming another regiment for rotation on the carrier would be good too. Another idea (adding to the upgrade you mention) would be to convert a dozen or two to dedicated EW platforms like the EF-18G, combined with ability to attach buddy-buddy aerial refuel kits. 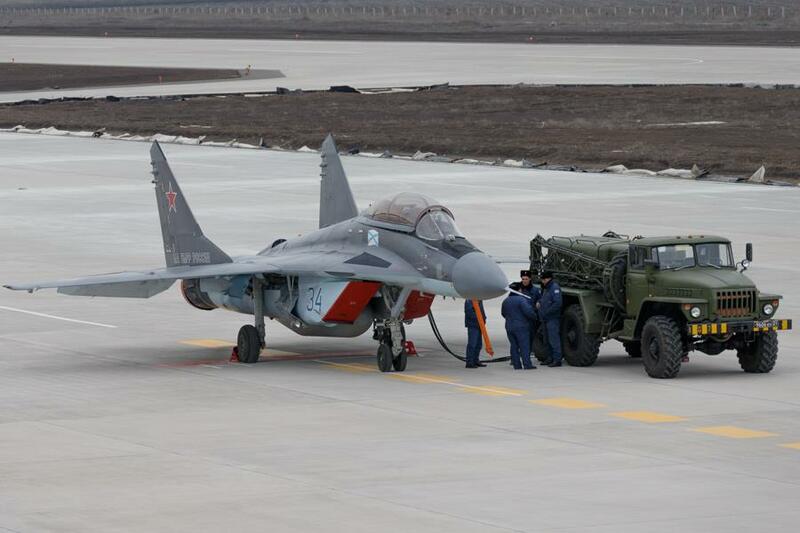 This will give extra eyes and legs to the shorter-legged MiG-29K. The carrier could easily carry 4-6 of those EW/tanker-enabled platforms (leave the Su-25UTG home) and then the standard complement of MiG-29K. PS. I guess a big problem here is Su-33 being single-seat only. I think they could make a dedicated EW platform from MiG-29KUB and adding few of them to the carrier group would be good idea. 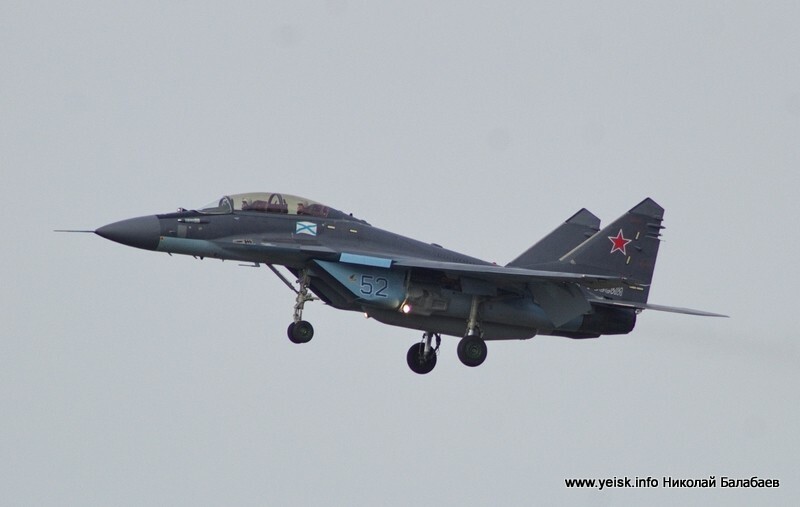 Do we have any Range/Payload graphic for Mig-29K when taking off from Aircraft Carrier ? More than twenty advanced MiG-29K ship-based fighter jets will enter service with the Russian Navy before the end of 2016, according to Russian Defense Minister Sergey Shoigu. Meanwhile, Igor Kozhin, head of naval aviation at the Russian Navy, has said that the aviation's main task in 2016 will be to finish creating a regiment of MiG29Ks for the Russian aircraft carrier Admiral Kuznetsov. How many MiG-29K/KUB have been delivered till now and how many have been carrier qualified till now? 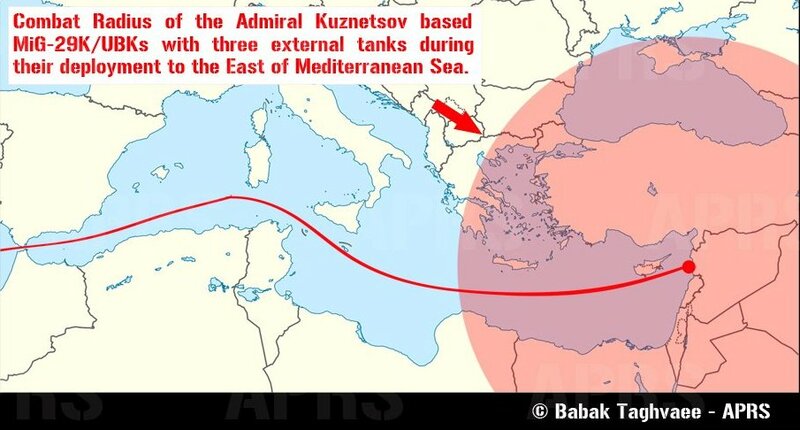 In short, how many combat capable 29K (& 33) can we expect with Kuznetsov during its deployment to the Mediterranean? Hope that doesn't mean we will only see a squadron of MiG-29K operating off the Kuznetsov after 2019. If they have enough pilots for them and qualify them in Yeysk for carrier operations, than I don't see a problem to place whole regiment on the carrier. 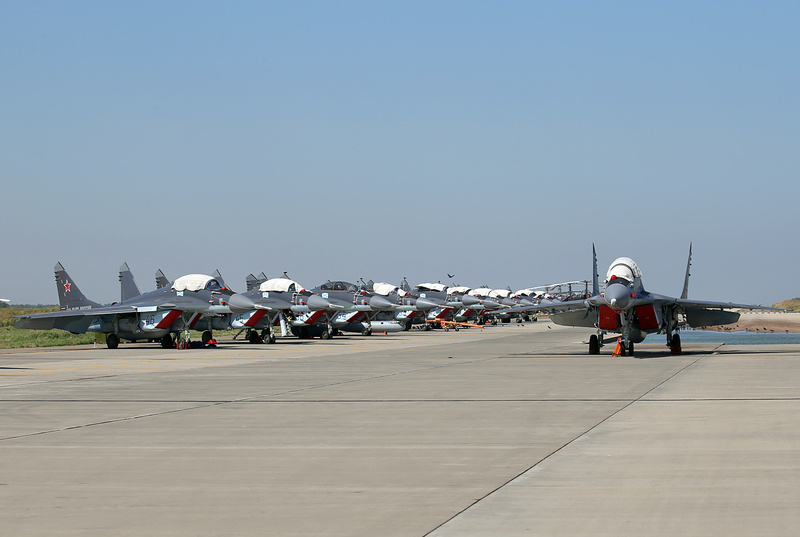 MiG-29K/KUBs in Yeysk training center. 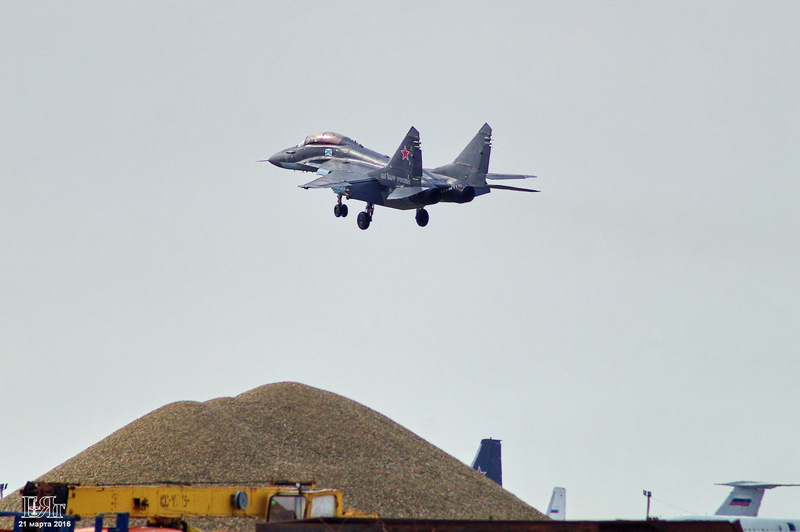 The first landing of combat MiG-29KR on the "Admiral Kuznetsov"